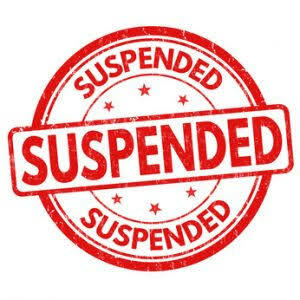 A policeman, whose service rifle was snatched by suspected militants from his rented accommodation in Kishtwar district of Jammu and Kashmir, was placed under suspension even as a massive search operation is on to arrest the culprits and recover the weapon, a senior police officer said Saturday. Daleep Kumar, who was posted as personal security officer (PSO) of District Development Commissioner, Kishtwar, Angrez Singh Rana, was reportedly overpowered by the gunmen who intruded into his residence at Asrarabad near Shaheedi Mazar in the town late Saturday night and decamped with his AK-47 rifle and a mobile. "The policeman has been placed under suspension and is being questioned. His mobile phone was recovered from an open area during the search operation," Senior Superintendent of Police, Kishtwar, Shakti Pathak told PTI. He said the search operation was launched immediately after the receipt of the information about the incident and was still going on. "No one was arrested or detained in connection with the incident so far. We are on the job to crack the case," the officer said.